Implementing a PBIS framework in any school takes a commitment to development, staff training and coaching, and following through. As a school moves forward through the school year with PBIS, areas that need additional attention often come to light. Applying PBIS principles to specific areas in a school (like cafeteria behavior) will encourage improvement in those areas, as was the case at Goldsmith Elementary in Louisville, Kentucky. Jefferson County Public Schools is the 27th largest public school system in the United States. With 150 schools and more than 100,000 students, JCPS educates students from Pre-K through high school. As part of JCPS, Goldsmith Elementary is a K-5 school with approximately 600 students. In the spring of 2015, the school piloted PBIS Rewards with their fifth-grade and their teachers. Based on the feedback from staff following this testing period, Goldsmith rolled out PBIS Rewards schoolwide for the 2016-17 school year. 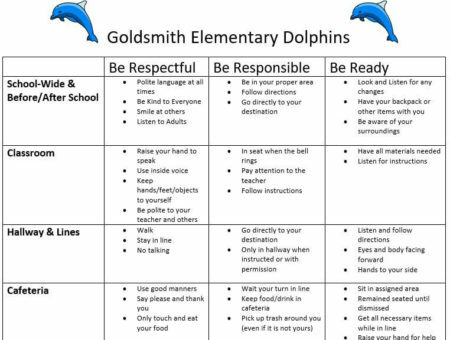 Goldsmith identified three principles that form the basis of their PBIS framework: Responsible – Respectful – Ready for Success. These three principles appear in the roster of behaviors developed for each area of the school. One area of the school that needed additional attention was the school cafeteria expectations. The cafeteria can present challenges in student behavior. Because students must sit quietly during class time, lunch represents an opportunity to release pent-up movement and noise. However, lunch periods are short, and students must find time to eat as well as be social with classmates. Hill remembered a program he had seen at another school, which was designed to improve behavior in the cafeteria. The principles of that program were adapted to the needs of Goldsmith and became the Golden Spatula program. In the Golden Spatula program, the cafeteria manager evaluates the classes that enter the cafeteria each day for proper lunchroom conduct. This includes sitting, eating, and talking in a respectful manner. Students are encouraged to pick up everything they need for lunch in one trip through the lunch line, including utensils, napkins, and condiments. Forgotten items can be retrieved by raising a hand and asking for them instead of getting up to get them without permission. Conversation is encouraged at a reasonable volume level. Students also help to maintain cafeteria cleanliness by picking up after themselves and helping to clean up spills. At the end of the day, the two classes that best exhibit proper behavior in the lunchroom receive a Golden Spatula award, posted on the bulletin board located outside the cafeteria doors. 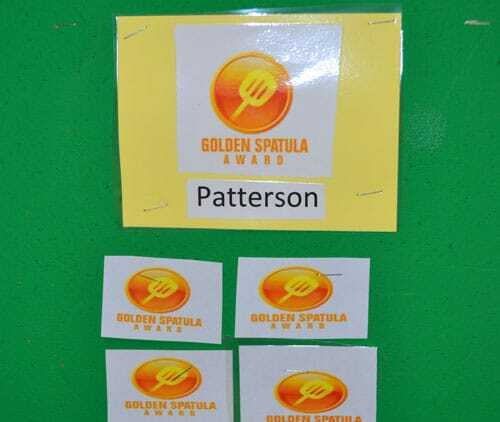 The Golden Spatula award period runs for six weeks at a time, with total awards tallied at the end of the period. The two classes that receive the most Golden Spatulas receive a field trip at the end of the period. Points totals in the Golden Spatula program are a reflection of class behavior as a whole. These points are separate from individual points that students earn via PBIS. 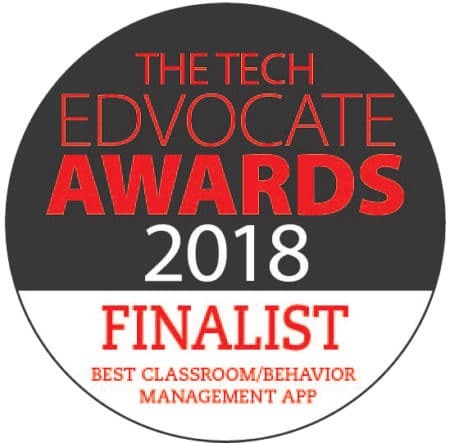 This allows students who may have challenges in earning points to experience the benefits of rewards as part of a group. It’s increased instructional time for every class. One of the biggest benefits that Mr. Hill sees with PBIS Rewards is the software’s dashboard component. “I can see at a glance who is on board and who is struggling. 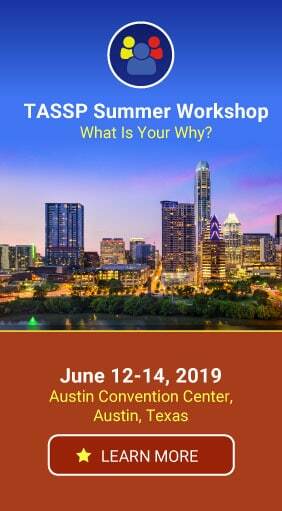 This gives administration an opportunity to approach those staff members and ask, ‘how can I help?’ It helps us to identify areas that need attention and individuals who can benefit from coaching.” Because teacher buy-in is important to the success of PBIS, reaching out to teachers who may be struggling makes PBIS more successful for all. 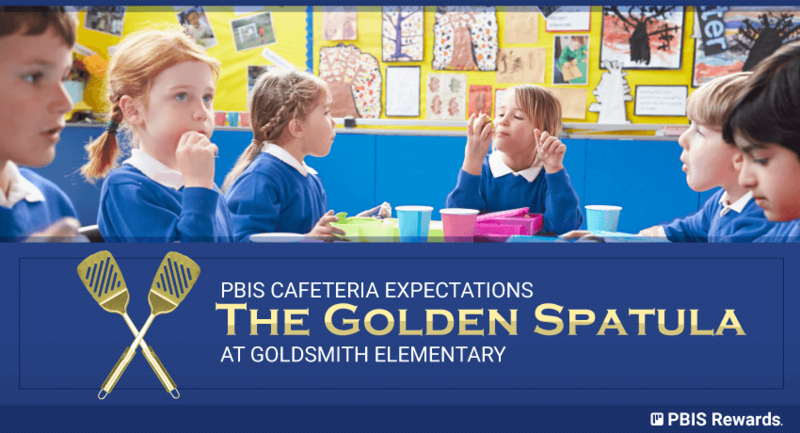 Applying PBIS principles to specific areas, such as Goldsmith’s Golden Spatula program, teaches students the power of working together as a group to exhibit positive behavior. PBIS Rewards makes it easier for anyone on staff to recognize individuals and groups for positive behavior. Want to know more? We offer free, live, online demos!